Posted by Mark Tuttle on January 6, 2014. How do you fly after a severe winter storm? You find some friends. 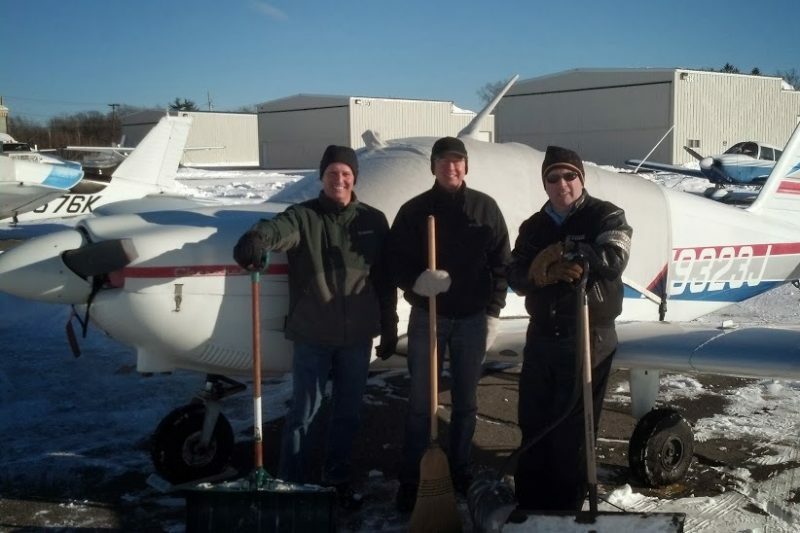 John Young, Egbert Woelk, Rich Ells, and Mel Suarez (taking the picture) showed up to shovel out the club plane the day after our New Year storm shut down the Boston area for two days. A lot of the cold, dry snow had been blown away by the wind by the time they showed up. After some shoveling, Rich and his truck showed up to finish the heavy lifting. While waiting for Rich, the crew naturally took a break at Four Star Aviation and got caught up on flying.